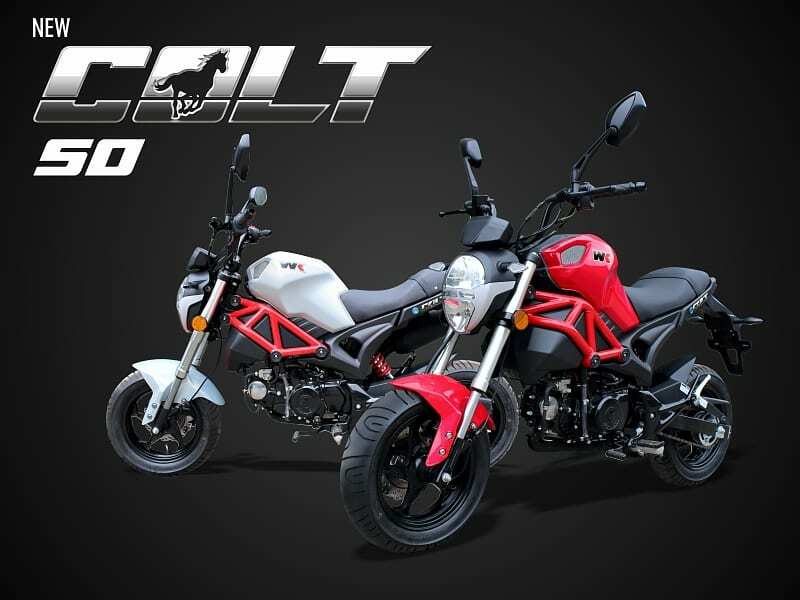 WK`S latest addition to their range is the stunning Colt 50 which comes in bright red, pearlescent white or gloss black. This is a bang up to date stunning 50cc four speed geared motorcycle that just shouts fun. With its lattice style frame and 12” alloy wheels with 120/70 section tyres providing plenty of grip. 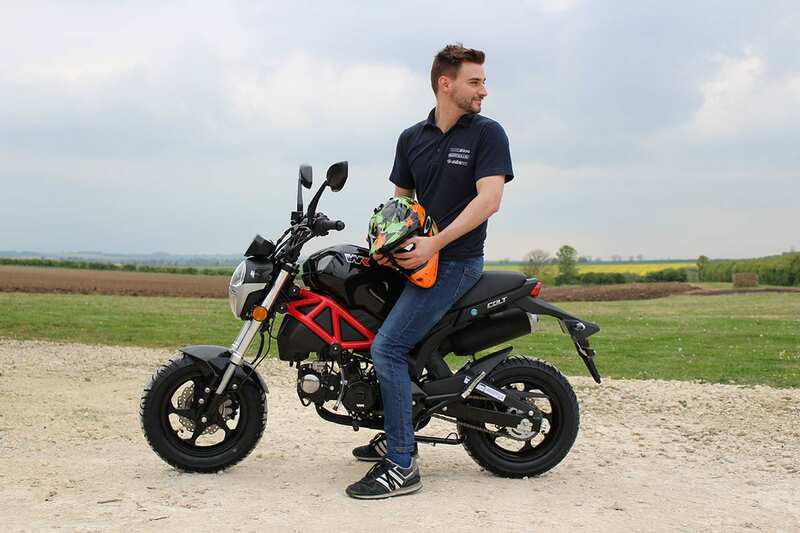 The front upside down forks matched to the monoshock rear suspension and the front and rear disc brakes are certainly man enough for the bikes fuelled up weight of 107 kg and maximum speed of 45 kph. The light pull clutch lever makes changing gears effortless and with a 12 litre fuel tank capacity and a fuel consumption of 2 litres per 60 miles means many miles before refuelling. 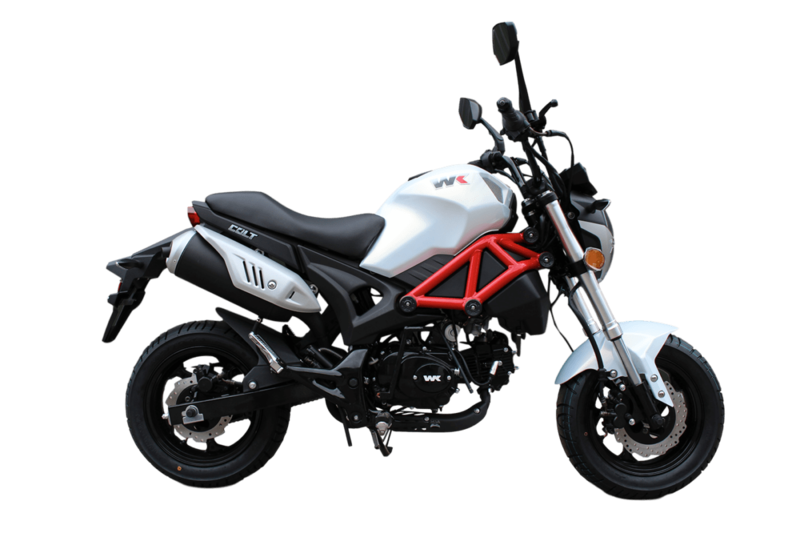 The seating position is comfortably forward, with stylish ergonomics placing the rider perfectly with the foot pegs and handle bars. The stylish digital dash has all the info you require including a fuel gauge, rev counter, speedometer, trip meter and a back light you can change from blue to red. 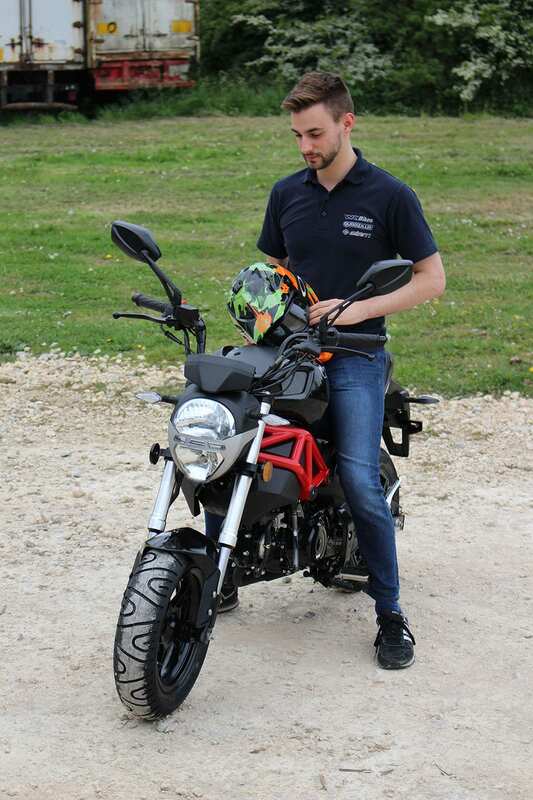 Homologated to take a pillion passenger means bags of riding excitement for you and a friend this stylish motorcycle is ideal for riding into town or popping in the back of your motorhome. If you passed your car driving test before the 1st of February 2001, you can ride this on just your car licence. It’s also the perfect learner legal, which can be ridden by 16 year olds. This stylish bike certainly turns heads – it’s the perfect pit paddock partner and practically perfect for popping to the shops on! Just £1399.99 RRP including VAT, plus on the road fees. 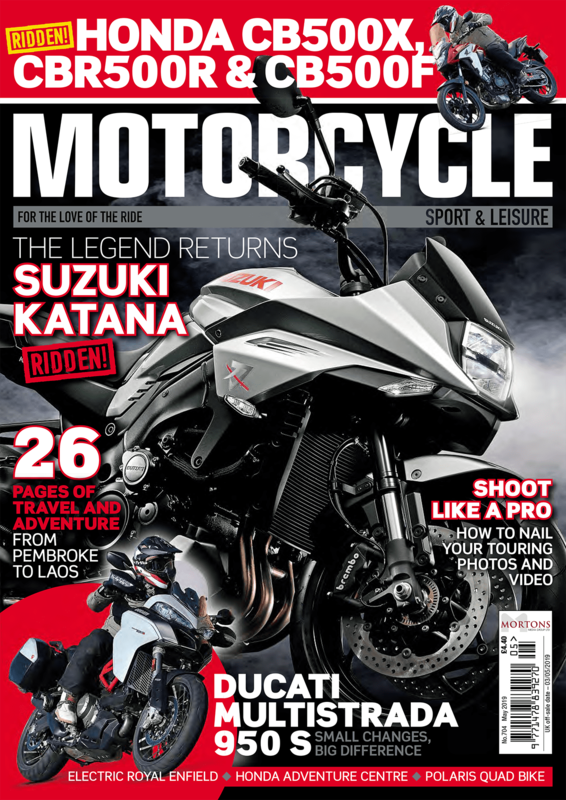 Available across the UK from your local WK Dealer.